Wander along the Spice Trail, explore the Holy Land, and immerse yourself in the vivid sights and sounds. The Middle East is a stunning tapestry offering endless and life-changing experiences. This area is renowned for its exotic culture, illuminated history, grand architecture and modern technology. From the hustle and bustle of largely populated cities to the peace and tranquility of local villages, delicious food and intriguing cultures. Dubai is the treasured gem of the Middle East boasting an affluence and lavishness. The city woos cruisers from all corners of the globe with a penchant for culture and luxury. Warm cultures and friendly locals that are iconic for the Middle East make cruise tourists feel welcome in a world away from home. Having endured its fair share of wars, it is right to acknowledge that nowhere else on Earth has such a colourful past as the Middle East, making it a fascinating destination for travellers who have an avid interest in the world, past and present. The treasures of the arid Arabian desert is yet another aspect that must be discovered in this diverse and exciting cruise destination. 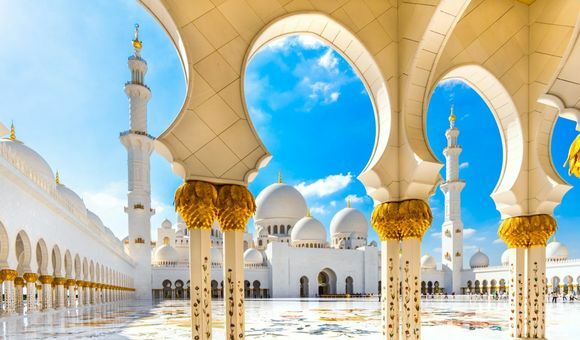 A Middle Eastern cruise is guaranteed to take you to the greatest hot spots belonging to this area and introduce you to cultures and ways of life that will encourage you to return again and again. When is the best time to visit ?When is the best time to visit ? To avoid the extreme summer heat it is best to visit the Middle East between October and April. Remember to bring a light cover up to enter temples, and sacred areas. Cruise from Dubai to Italy on this unique sail along the Red Sea and up the Suez Canal. This 16 day cruise gives you a taste of an array of different cultures while also offering time to unwind onboard the Celebrity Constellation. An overnight stay in Dubai allows you to properly explore this fascinating city. There are plenty of activities on the Celebrity Constellation to keep you entertained during days at sea. Enjoy a wine and beer tasting sessions with knowledgeable bartenders at the 'Martini Bar' or 'Cellarmasters'. Step onboard the Azamara Quest as it takes you on a spectacular sail up the Gulf of Oman through the Persian Gulf. Test your bartering skills at Muscat's Muttrah Souk and discover a labyrinth of souvenirs. 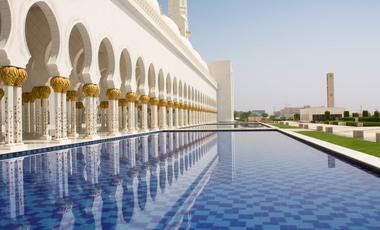 Visit the breathtaking Sultan Qaboos Grand Mosque, extravagantly decorated with marble and gold. This cruise is sure to be the cultural experience of a life time! Enjoy delicious North African dishes at Azamara Quest's exquisite onboard restaurants - the 'Aqualina' and 'Prime C'. If you're a fan of history and adventure, this Seabourn Encore cruise is right for you. Travel from the metropolis of Dubai to Haifa, home to the Bahá'í World Centre. 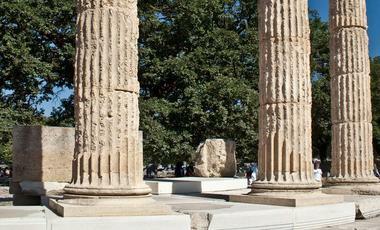 You will then be transported to ancient Greece where you can explore the Parthenon ruins. Culture around every corner, this cruise is a fantastic experience not to be missed! Seabourn Encore offers a unique twist to your cruise. Go shopping with the Chef. Explore the Spice Souks of Muscat and try fresh olives in Agois Nikalaos. Discover more about the cultures you encounter. The emirate of Dubai is home to around 1.8 million inhabitants. The majority of the population lives in the city. Dubai is known for its modern and futuristic projects. From skyscrapers on manmade islands, to amusement parks, there is hardly anything that does not exist in this city. Dubai offers endless beautiful beaches, excellent water sports, desert safaris and an almost immeasurable range of shopping facilities. The capital of Oman, Muscat is located in the northeast of the country on the Gulf of Oman. Muscat has many beautiful beaches, parks, and a moat, which is located next to the Great Mosque of Sultan Quabus. For a better idea of the local culture and food, go and experience the bustle of the traditional oriental markets. Muscat is a very elegant and uniform city with most of the buildings reflecting tradition - that is a requirement even for the functional new buildings. Petra, voted as one of the 'New Seven Wonders of the World' is the great Ancient City located in the south of Jordan. It is one of the world's most famous and treasured UNESCO World Heritage Sites. To get to it, your cruise will stop at Aqaba, Jordan's only sea port. Located in the Gulf of Akaba, Aqaba is also very popular with divers for its beautiful coral reefs. The town's relaxed atmosphere and comfortable climate make it perfect for the Jordanians to get away to. Abu Dhabi, the capital of the United Arab Emirates, is one of the most exciting cities in the world. Nothing stands still here, the city is constantly evolving and growing, however, the past is also very well preserved. Abu Dhabi provides its guests with plentiful opportunities to learn the history of the UAE through museums, exhibitions, tours and food. The atmosphere is soaked with Emirati culture and traditions - the dhow harbour, the markets and the shisha cafes will engage you in the Gulf life. 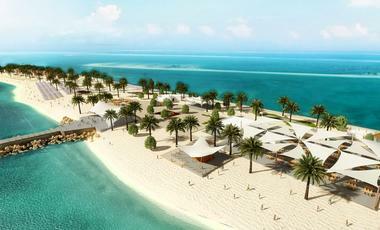 Sir Bani Yas is a natural island located 100 km southwest of Abu Dhabi, the capital of the United Arab Emirates. Thanks to decades of intensive conservation work and ecological investment, it is now home to thousands of large free-roaming animals, several million trees and plants, a bird sanctuary as well as a wildlife reserve. Sir Bani Yas showcases nature through activities such as adventure safaris, kayaking, mountain biking, archery, hiking and snorkeling. Khasab is a port town on the Musandam Peninsula in northern Oman. It is quite small but by no means sleepy. The port of Khasab is the main hub of activity - legal and semi-legal trade with Iran being the biggest one. The smugglers are easy to spot, their fiberglass boats are lined up along the creeks, waiting for the sunset to make a mad dash for Iran. However, the main attractions of the area are the picturesque fjord-like inlets and the beautiful Al Hajar range of mountains surrounding it. Khasab has often been called the 'Norway of Arabia'. Salalah is the capital of the Dhofar region in Oman. This subtropical city lays on the coast of the Arabian Sea and is famous for its coconut-fringed beaches. Khareef - the rainy season, starts mid-June and brings monsoon clouds that constantly drizzle until mid-August, transforming the city into an oasis of misty pastures. Visitors find it hard to believe that they are in the heart of the Arabian desert. Salalah is a good starting point for numerous excursions. Doha is the capital of Qatar and is situated in the Arabian Gulf. It is one of the most dynamic and fastest growing cities in the world. Doha's beautiful skyline is constantly changing, this is due also to the fact that the Qatari government invests heavily into the creation of landmark cultural icons. The city is set to become one of the Gulf's premier league players, together with Dubai, in the next few years. There is plenty to see, so don't let Doha be just a stop-over on the way somewhere else. Manama is the capital city of the Arabian Gulf island nation of Bahrain. Although, very similar to its counterparts - Dubai and Doha, in that it has all the hallmarks of modern Gulf prosperity, Manama is still small, charming and very traditional. The daring skyscrapers are still being overlooked by the traditional Bahraini houses in Muharraq. The old-fashioned building of the National Museum is set alongside the avant-garde designer National Theatre. To enjoy the old charm of Manama, a visit to the Central Market is a must. Fujairah is the capital city of the emirate of Fujairah, located on the east coast of the United Arab Emirates in the Gulf of Oman. The city is the business and commercial centre of the emirate. Although, tourist attractions are few and far between, Fujairah is worth a visit if only to see the new massive, gleaming white Sheikh Zayed Mosque - second largest in the UAE or the emirate's first shopping centre - Fujairah City Centre Mall. The city is also a great starting point for the emirate's exploration. Eilat is the southernmost city in Israel. The city's location at the northern tip of the Red Sea that's famous for its warm turquoise waters makes Eilat a very popular resort among Israeli families and European sun-seekers. Water sport enthusiasts are fascinated by the spectacular coral reefs, nature lovers - by the fantastic desert scenery surrounding the city. Add VAT-free shopping and an interesting Aquarium to the list and you will have a place that's very much worth a visit. Khor Fakkan is a town on the coast of the Gulf of Oman and is part of Sharjah, one of the United Arab Emirates. The town is a natural deep-sea port and is also one of the country's major container ports. The charming Corniche with its sandy beach, beautiful gardens and playgrounds is Khor Fakkan's main attraction. Despite the fact that there is a total ban on the sale and consumption of alcohol in the whole Sharjah emirate, tourism is booming thanks also to Khor Fakkan's stunning coral reefs. Suez is a modern port city in northern Egypt and is situated at the mouth of the Suez Canal. Suez was once a hub for trade between Europe and India but suffered a severe blow to its economy in 1973 when the Suez Canal was closed. Now that the Canal is back in action (since 1975), the city has returned to its prosperity and enjoys being the biggest transit port in the country. Suez serves as a departure point for those on their pilgrimage to Mecca. Ras Al Khaimah is an emirate in the UAE, has a capital city of the same name, and offers a very different experience from its neighbouring emirates. Less than an hour away from the busy metropolis of Dubai, Ras Al Khaimah offers historical, cultural and adventure experiences, along with opportunities to relax along its 64 kms of sandy beaches. The emirate has a unique terracotta desert with distinct flora and fauna, historical sites dating back to the third millennium BC and even opportunities for hiking, mountain biking, and rock climbing at the tallest mountain in the UAE - Jebel Jais. Outdoor: thrilling mountain or water adventures and experiences and golfing at world-class courses. Camel races at Al Sawan Camel Race Track, and Al Wadi Equestrian Adventure Centre. Sur is the easternmost big city in the Sultanate of Oman and is located on the Gulf of Oman. Since the 6th Century, Sur has been an important commercial center for trade with East Africa. The city has a long tradition as a seafaring city, and is therefore known for its classic construction of the 'dhow', the ships used for trading voyages to Africa and India until the 19th Century. Although Sur is itself worth a visit, the city is a good base for day trips to Wadi Tiwi and Wadi Shab.